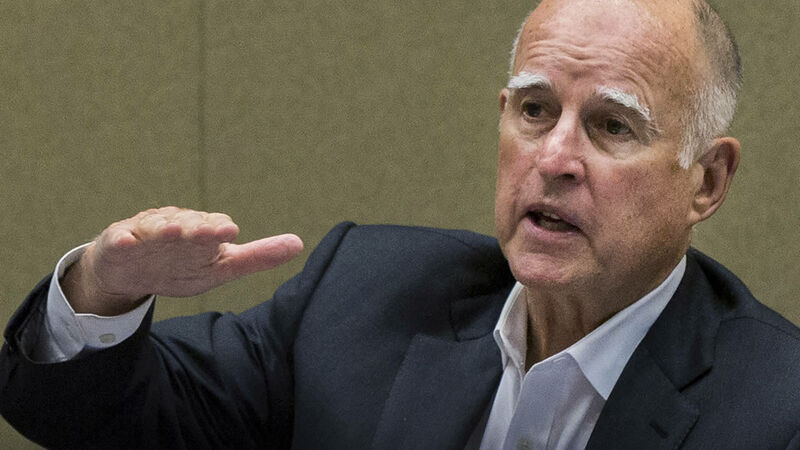 SACRAMENTO, Calif -- It's been a busy Saturday for Governor Jerry Brown who signed and vetoed several important bills. Gov. Brown vetoed nine bills sponsored by fellow Democrats that would have created new tax credits or expanded existing tax credits. Brown announced the vetoes Saturday, saying the state's budget is still facing financial uncertainties. Brown said the tax credits would make balancing the state's budget even more difficult. Some of the more standout bills are highlighted below. California has adopted the toughest limits in the nation on the use of antibiotics in livestock. Gov. Jerry Brown announced Saturday that he had signed a measure that prohibits meat producers from routinely giving antibiotics to healthy animals to prevent illness or promote growth. Consumers Union, the policy division of Consumer Reports, says the rampant use of antibiotics in meat production weakens the effectiveness of the drugs for treating diseases in both animals and people. Supporters of the legislation say the antibiotics are fed to mostly healthy animals such as cows, pigs and chickens to prevent disease in crowded industrial farms. The U.S. Centers for Disease Control and Prevention has recommended limiting their use. The law takes effect in 2018. Brown also signed a bill to limit disclosure by elected officials for solicitations they make on behalf of businesses and nonprofits. The Democratic governor signed AB1544 authored by Assemblyman Ken Cooley. The legislation limits when officials have to reveal they successfully sought government money or payments on behalf of a business or nonprofit. The Democrat from Rancho Cordova says it's a given that people turn to elected officials when they need help from government agencies. Chairwoman of the California Fair Political Practices Commission Jodi Remke had urged Brown to veto the bill. Brown also signed SB21 by Sen. Jerry Hill, which would require certain nonprofit organizations to disclose the names of donors who pay for travel gifts for elected officials as well as the travel destinations. One of several bills Gov. Jerry Brown has vetoed was intended to help California businesses avoid costly lawsuits related to the Americans with Disabilities Act. SB251 would have given businesses time to fix violations of the Americans with Disabilities Act without facing penalties. It was the latest effort to rein in what some lawmakers say are predatory attorneys who threaten lawsuits against non-complying businesses. It would have given businesses 15 days to fix signs and 90 days to fix other problems before ADA challenges could begin. The bill by Democratic Sen. Richard Roth of Riverside also included a tax credit to make improvements. Brown on Saturday announced vetoing nine bills to offer new tax credits, saying they would collectively make it harder to balance the state budget. Gov. Brown also approved a law to begin automatically registering eligible voters when they obtain or renew their drivers' licenses. Brown signed AB1461 by Democratic Assemblywoman Lorena Gonzalez of San Diego, which aims to boost California's voter rolls by registering visitors to the Department of Motor Vehicles. The legislation is supported by Democratic Secretary of State Alex Padilla. It follows Oregon's move earlier this year to adopt the nation's first automatic voter registration law. Lawmakers approved the so-called motor voter law this summer and have held events around the state encouraging Brown to sign it. Some Republican lawmakers say voters shouldn't be forced to sign up. They warn that automatic registration could lead to voter fraud if people who are not eligible are accidentally registered. Among the bills Brown vetoed was a measure by Assemblyman David Chiu of San Francisco that would have increased funding for low-income housing tax credits and a measure by Assemblyman Adrin Nazarian of Los Angeles that would have provided credits for seismic retrofitting. Still another bill Brown vetoed would have expanded a food donation credit.